'Spirit of the American Range' celebrates the works of one of the musical giants of the 20th century, Aaron Copland, joined with the works of his colleague, Walter Piston - who was, according to Copland, �one of the most expert craftsmen American music can boast� - and the self-proclaimed bad boy of music, George Antheil. Featuring Copland�s Symphony No.3, Antheil�s Jazz Symphony and Piston�s Suite from The Incredible Flutist, this release is undeniably a homage to the distinctive musical characterisation of American themes in a passionate, modern style. As Leonard Bernstein once stated, �Aaron Copland�s Symphony No.3 has become an American monument, like the Washington Monument or the Lincoln Memorial�. 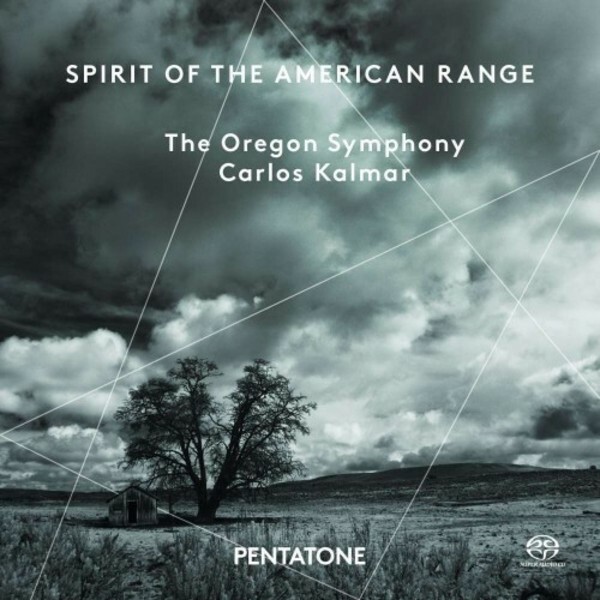 'Spirit of the American Range' is Oregon Symphony�s third release on Pentatone. Recorded under Carlos Kalmar�s guidance, they prove throughout the recording that they can easily stand alongside the world�s great orchestras. Oregon Symphony and Carlos Kalmar elevate the release into a testament of the marvellous creations of the new generation of American composers.